Modern hostel/Student House located in the heart of the Powiśle in Warsaw at the intersection of Dobra and Smulikowski Street, in the vicinity (400m) of Warsaw University, announces a call for students! 2,3,4 bed rooms fully equipped ie: beds, cupboards, desk, lamp, bed linen, LCD TV - cable TV. also WiFi, washing machine, dryer, sauna, fitness room, equipped kitchen, livingroom, PlayStation3, vacuum cleaners, mini library, etc. Price includes all charges: media, electricity, heating, water, garbage, etc. Long lease (academic year). 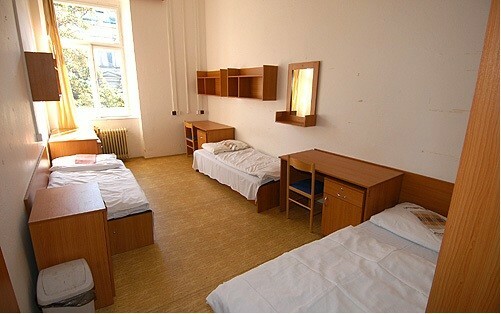 The dorm is inhabited exclusively by students. From 130€ / person / month.